Max spiked a fever this afternoon of 103.7 which means he has to go to the hospital to make sure he's okay. Okay being that his blood counts are still high enough to fight the foe causing the fever. If the counts are low (making him neutropenic) he has to stay inpatient and receive IV antibiotics for as many days as they say is neccessary. Sheesh - we haven't had to do this for along time! Andy headed to the hospital with Max around 3:00 this afternoon with an overnight bag just in case. 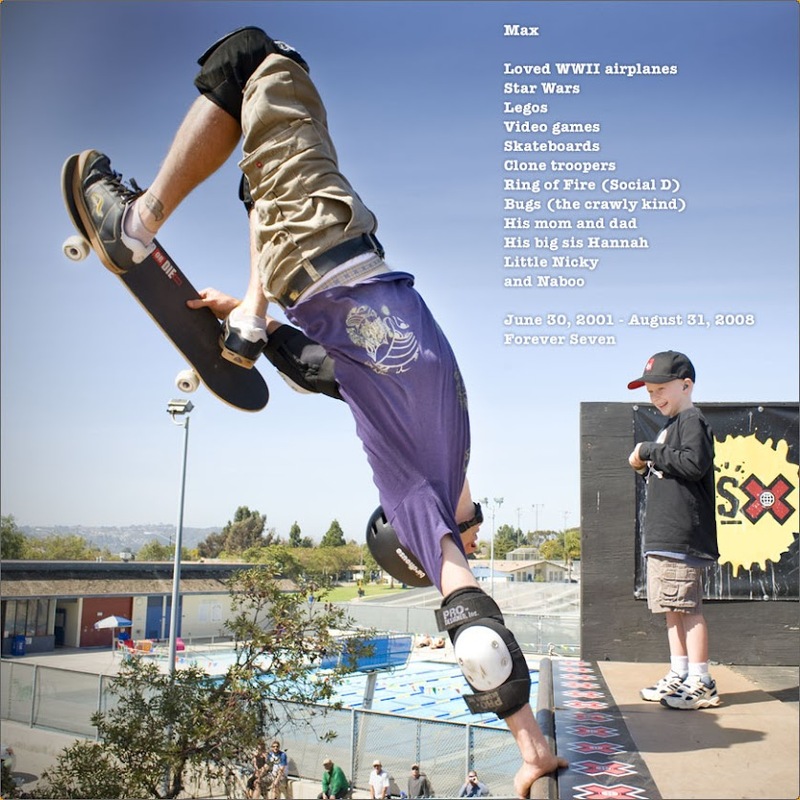 They will go directly to the oncology ward, have Max's blood drawn, then wait for results. I hope they'll be home soon. 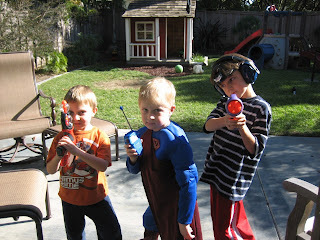 Matthew, Max & Jack ready for a superhero mission. Sat 1/26/08 - Max Home!